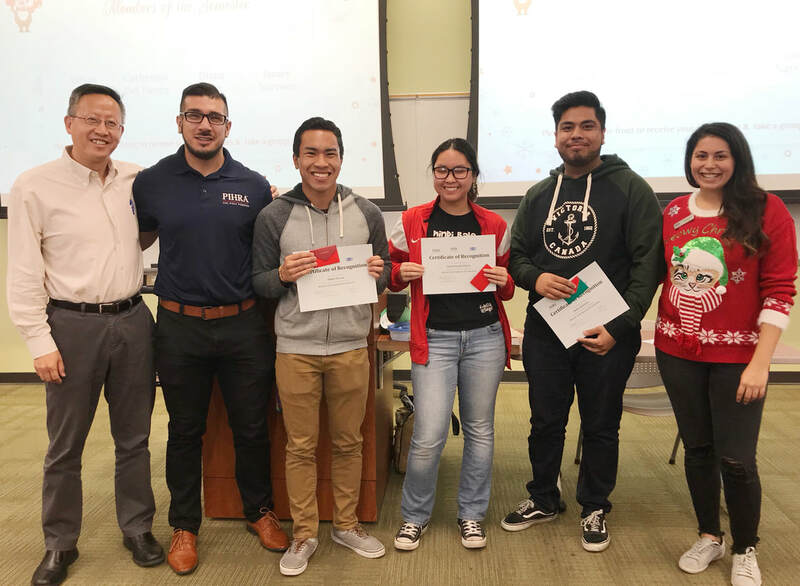 CPP PIHRA Members of the Semester! Members of the Semester are based on general meeting attendance, enthusiasm and participation in our club fundraisers, socials and volunteer events! We want to thank all of our club members for participating and for their continued support! The member of the semester in Fall 2018 are: Ethan, Katherine, James and Diana. Congratulations!